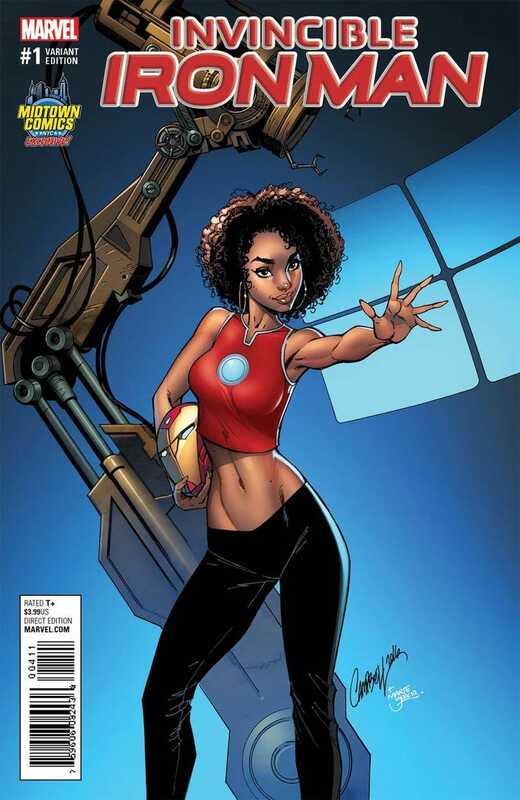 When Marvel released its variant covers for the first issue of Invincible Iron Man, whose main character is 15-year-old super-genius Riri Williams, many people weren't pleased with one cover created by J. Scott Campbell. Complaints about Campbell's cover included the fact that Riri was over-sexualized, depicted wearing low-cut jeans and having large breasts. Apparently Marvel took notice of the complaints, and in a joint decision with the Midtown Comics' website, it decided to cancel that particular Campbell cover, according to HitFlix. Campbell's cover depicting Riri in her full armor still exists, but as HitFlix noted, it was interesting that the more provocative image was priced higher than that of the armor cover. Never underestimate the power of social media when it comes to getting companies to hear your complaints.